A menu funny posted on Facebook this morning inspired me to write the poem. I simply loved "fabolous and georgeus" and had to find a way to use them. I find the phrase divine. too thought that it was fine. apart from fish and steaks? even before the food's brought out. and you get trotters instead of trout. can aptly describe the dish. as to what he'll find on this plate. is complex and often poetic. to render the true aesthetic. so wrong and yet so good. but not because of its food. was responsible for this funny? who think their English is fabolous. and leave the translating to us. I’m used to doing them, just another one. but this time the author seems to be new. placing my other work back on the shelf. This one’s urgent, but aren’t they all? Normally I don’t really mind at all. I read the first section and scratch my head. What exactly is being said? but what is meant I really can’t tell. my mind is blank, my brain is numb. I just need to move away from the source. clean the kitchen or wash the floor. going round and round as I look for the thread. I need to keep going, it’s starting to flow. A change of tack, what will I do next? It’s a little too early to return to the text. warm up my limbs, help me chill a bit. and all of a sudden it comes to me. it’s what he encountered on his travels. the verdant hills, the sway of the tree. to confuse the translator was not his aim. to please the editor, his path to success. when using poetry can raise the bar. But the poor translator, did he think of me? Certainly not, it’s plain to see. turning 'gobbledegook' into a good translation. the whole process is quite entertaining. though it’s just as well I work from home. Well according to Google, apparently not. A website full of them is a big no-no. So what’s a penguin you may ask yourself? OK it’s an animal on the arctic shelf. There’s a Google one that can cause you woe? If you want to appease dear Mr Google. Gone, finito, into the stratosphere. So please make sure it just doesn’t happen. Get a Panda penalty and your page is gone. A Penguin penalty and the site’s withdrawn. For SEO and peace of mind? By colleagues and contacts everywhere. And where your website is put on show. On a site that’s near the top of the ranking. If using keywords is a major blunder. You’ve got absolutely nothing to fear. 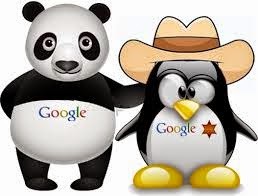 From pandas and penguins your site will be spared. Those cute little animals you find in a zoo. Many on offer but this could be the one. Good for my business, even better for my soul. I arrive at the hotel, two colleagues with me. The man on reception messes up our rooms. And are taken to a café that’s really rather pretty. It’s going to be memorable, money well spent. The focus a profession so dear to our heart. Of course this has to be translation. The market is changing, so what is our fate? Good translators are here to stay. Wise words from Marta that certainly ring true. It’s not our fingers, it’s what we do with our brain. Know what you’re good at, find an area you adore. Nigel Saych has a system ready for adoption. Far too many to include in this little verse. Time to relax, the hard work is done. Business cards exchanged, experiences told. Good food washed down with exquisite wine. We all welcome the chance to rest our brain. Others gather at the hotel to enjoy a few laughs. Our new-found friends are not going to vanish. United in an experience we enjoyed so much. Conference organiser extraordinaire, Csaba Ban. The Hilton? What’s the reason why? Technology, money, could you ask for more? Line dancing, whose idea was that? Dam and blast it where’s the map? A place to build an office for me.